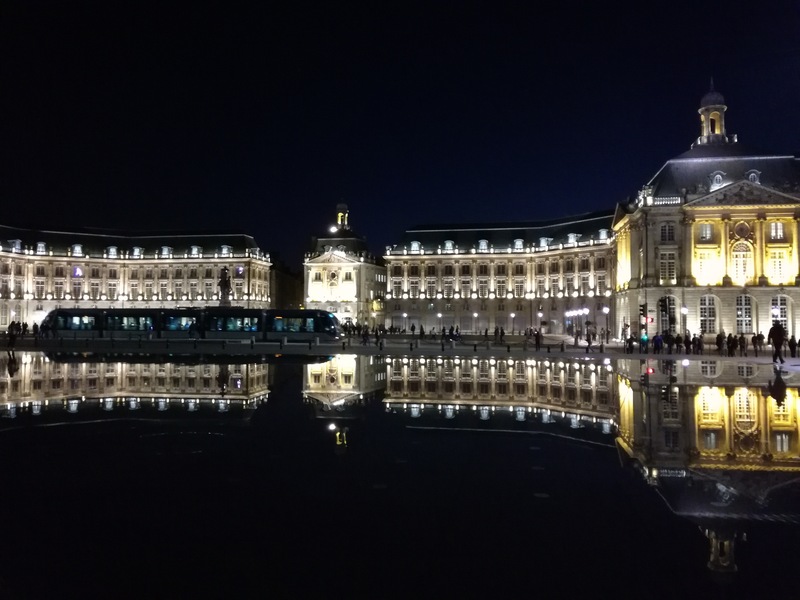 The 2019 French Political Science Association Congress (AFSP) will take place 2-4 July 2019 at Sciences Po in Bordeaux. Dr. Vincent Lebrou (University of Strasbourg), Lola Avril (Paris-Sorbonne University) and I are organising a panel on European Union politics. Deadline to send us (lola.avril (at) hotmail.fr ; samuel.bh.faure (at) gmail.com ; vincent.lebrou (at) misha.fr) your 200 words abstract? 12 december 2018. This thematic section, organised by the Research Group on the European Union (GrUE), focuses on the transformations of European integration. Launched in autumn 2017, the members of the GrUE organised three workshops in Strasbourg, Paris and Oxford, participated in the rencontres de la science politique initiated by the AFSP in Saint-Denis in 2018, and are currently preparing a working day dedicated to doctoral students (the « Doctoriales ») to be held in Brussels in 2019. Several publications (a bibliographical note for the Revue française de science politique and the direction of two special issues, one of which for Politique européenne), which result from this work, are being prepared. In addition, the GrUE aims to work on a edited volume in order to gather the main research results of these two years of research. In order to prepare this publication, this thematic section focuses on the presentation of completed research to contribute to the GrUE’s collective book. Three panels structure the thematic section proposed by the GrUE: 1) the dynamics of differentiation of European integration; 2) the processes of legitimisation of European public action; 3) the methodological mechanisms implemented to survey in Brussels. The first panel aims to gather contributions that question the transformations of European Union (EU) governance in terms of the dynamics of differentiated European integration (Leuffen, Rittberger, Schimmelfenning, 2012; Leruth, Lord, 2017). Where are the political-institutional demarcation lines that historically and sociologically structure the « Eurocracy field » (Georgakakis, 2012)? Are they national boundaries between Member States, institutional ones between supranational and intergovernmental institutional bodies, intersectoral demarcation between policy areas or do the results lead to unexpected « transversal lines » (Basaran, Bigo, Guittet, Walker, 2016; Guiraudon, El Qadim, 2017)? Once these political-institutional demarcations have been identified, the objective is to interpret their sources or sociological effects in a given historical context. What are the modalities for producing the differentiation logics of European integration? How can we understand the emergence of a differentiation dynamic such as the constitution of the Schengen Area, the permanent structured cooperation (PESCO), the Eurozone, an opt-out mechanism or Brexit? This panel also aims to discuss communications that analyse the effects generated by the dynamics of differentiation on different scales of public action (sub-national, national, European, global). It will then be a question of how EU or non-EU actors adapt, benefit or on the contrary undergo this redefinition of the legitimate boundaries of the Eurocracy field vis-à-vis its « counter-fields » (Member States, interest groups, the international world). Based on demonstrations involving first-hand sources, this thematic section will prioritize original theoretical and conceptual proposals that take the notion of differentiation seriously. The second panel focuses on mobilizations that aim to promote, justify and ensure acceptance of European public action (Lagroye et al. 2015). We encourage papers going beyond the sectoral analysis of public policies, questioning the various forms of legitimisation of EU policies and their contestation. What role should be granted to ideas and knowledge in the analysis of the functioning of EU institutions? Which actors are involved in the legitimisation of EU public action? In which arenas do these processes take place? The panel intends to focus on cross-cutting approaches of EU public action in various ways. Papers could first identify and question trans-sectoral forms of legitimisation. Second, they could articulate different approaches of the research on public policies, studying the kind of knowledge used to justify them, actors who carry these resources and practices that derive from them. Third, they could also point out the different levels of production and spreading of the forms of legitimisation. This multi-level analysis could be either vertical, analysing the different scales of action (national, European, international) or it could be horizontal, analysing the different institutions and actors (even those in the fringes of Eurocracy) involved in the legitimisation processes. Finally, special attention could be paid to the production of competing forms of legitimisation. With the emphasis on cross-cutting approaches, this panel aims to contribute to a broader research field on the transformations of the State and of public action. This third panel tackles the question of the links between the construction of the research object et investigation practices (Siméant, 2015) in order to understand how the EU is being investigated, with which objectives and for which results. Have the repeated invitations in the last few years to “normalise” the methods used in European Union research (Hassenteufel, Surel, 2015) been effective? On the contrary, does the sui generis nature of European integration, as well as the relative autonomy of the centres and peripheries of this political and institutional environment, require new methodologies? We will try to understand how are European integration related fieldworks elaborated and invested by academics. Papers could deal with methods used in the definition of the fieldwork, strategies developed in order to master the field, or oppositions that one had to handle. Authors could focus in particular on methodological issues they have had to tackle. Faced with the heterogeneity of national statistical categories, connections between different political systems, divided professional networks or “hard to get” elites, researchers have to be creative. Papers could focus on tricks, patch-up jobs, inventions or alternatives used in the building of the research protocol. We would also like also to question the methodological implications of the movement of research objects from the Brussel microcosm/bubble (Laurens, Marchan, Van Criekingen, 2012) to new objects, located “à contrepoint” (Weisbein, 2008). How are these objects approached methodologically, and what can we benefit from highlighting the links between those two dimensions? Is this change of perspective the product or the vector of the methodological normalisation of European studies? Finally, what are the consequences of this renewal of research objects (and methods?) on the general comprehension of European integration even to spaces apparently more distant from the centre of the Community power sphere? By questioning investigation practices, this panel aims to understand better recent and future evolutions of works dedicated to the EU. Cette section thématique, organisée par le Groupe de recherche sur l’Union européenne (GrUE), porte sur les transformations de l’intégration européenne. Lancé à l’automne 2017, les membres du GrUE ont organisé trois journées d’étude à Strasbourg, Paris puis Oxford, ont participé aux rencontres de la science politique initiées par l’AFSP à Saint-Denis en 2018, et sont en train de préparer une journée de travail consacrée aux doctorants (les « Doctoriales ») qui se tiendra à Bruxelles en 2019. Plusieurs publications (une note bibliographique pour la Revue française de science politique et la direction de deux numéros spéciaux dont un pour Politique européenne), qui résultent de ces travaux, sont en cours de préparation. De plus, le GrUE ambitionne de travailler à un ouvrage collectif afin de rassembler les principaux résultats des recherches menées lors de ces deux années de travail. Dans le but de préparer cette publication, cette section thématique se concentre sur la présentation de recherches abouties pour contribuer à l’ouvrage collectif du GrUE. Trois panels structurent la section thématique proposée par le GrUE : 1) les dynamiques de différenciation de l’intégration européenne ; 2) les processus de légitimation de l’action publique européenne ; 3) les dispositifs méthodologiques mis en œuvre pour enquêter à Bruxelles. Le premier panel vise à rassembler des contributions qui interrogent les transformations de la gouvernance de l’Union européenne (UE) sous l’angle des dynamiques de différenciation de l’intégration européenne (Leuffen, Rittberger, Schimmelfenning, 2012 ; Leruth, Lord, 2017). Où se situent les lignes de démarcation politico-institutionnelles qui structurent historiquement et sociologiquement le « champ de l’Eurocratie » (Georgakakis, 2012) ? S’agit-il de démarcations nationales entre les États membres, de périmètres institutionnels entre organes supranationaux et intergouvernementaux, de « frontières » intersectorielles entre domaines d’action publique ou les résultats conduisent-ils plutôt à des « lignes transverses » inattendues (Basaran, Bigo, Guittet, Walker, 2016 ; Guiraudon, El Qadim, 2017) ? Une fois ces démarcations politico-institutionnelles identifiées, l’objectif est d’en interpréter leurs sources ou leurs effets sociologiques dans un contexte historique donné. Quelles sont les modalités de production des logiques de différenciation de l’intégration européenne ? Comment comprendre l’émergence d’une dynamique de différenciation telle que la constitution de l’Espace Schengen, la coopération structurée permanente (PESCO), l’Eurozone, un mécanisme d’« opt-out » ou le Brexit ? Ce panel vise également à discuter des communications qui analysent les effets générés par les dynamiques de différenciation sur différentes échelles d’action publique (infranationale, nationale, européenne, globale). Il s’agira alors d’interroger la manière dont les acteurs de l’UE ou extérieurs à l’UE s’adaptent, profitent ou au contraire subissent cette redéfinition des frontières légitimes du champ de l’Eurocratie vis-à-vis de ses « contre-champs » (les États membres, les groupes d’intérêts, l’international). À partir de démonstrations mobilisant des sources de première main, cette section thématique priorisera des propositions théoriques et conceptuelles originales qui prennent au sérieux la notion de différenciation. Le deuxième panel entend analyser les mobilisations d’acteurs « pour valoriser, justifier, et ainsi faire accepter des pratiques ou modalités d’action » européennes (Lagroye et al. 2015). En visant à une réflexion dépassant l’analyse sectorielle des politiques publiques, les contributions permettront d’interroger les registres de légitimation (Jullien & Smith 2008) de l’action publique européenne ainsi que les ressorts de leur contestation. Quelle place accorder aux idées ou aux savoirs dans l’analyse du fonctionnement de l’UE ? Qui sont les acteurs investis dans ce processus de légitimation de l’action publique européenne ? Dans quelles arènes s’opère ce processus ? Le panel entend privilégier une réflexion transversale sur les formes de légitimation de l’action publique européenne. Cette transversalité est plurielle : les contributions pourront interroger les modes trans-sectoriels de légitimation, articuler les approches sur les savoirs mobilisés dans la légitimation, les acteurs qui les portent, les pratiques qui en découlent. Elles pourront également penser l’articulation des niveaux dans la production et la diffusion de ces formes de légitimation. Cela pourra être fait d’une part de manière verticale, en interrogeant les jeux d’échelle (national, européen, international) ou de manière horizontale, en analysant les différentes institutions impliquées dans le processus de légitimation, les acteurs (y compris à la marge de l’Eurocratie ou les intermittents du gouvernement de l’Europe) qui y sont investis et les circulations à l’œuvre. Enfin, les contributions pourront penser la formulation de modes de légitimation différents, voire concurrents. En mettant l’accent sur la transversalité de la réflexion, ce panel cherche à contribuer à la réflexion plus large sur les transformations de l’État et de l’action publique. Ce troisième panel investit la question « des jonctions entre construction de l’objet et pratique de l’enquête » (Siméant, 2015) pour tenter de saisir de quelle manière, avec quels objectifs et pour quels résultats on s’intéresse à l’UE. Les appels répétés formulés au cours des dernières années en vue d’une « normalisation » des méthodes employées dans le cadre de recherches sur l’Union européenne (Hassenteufel, Surel, 2015) ont-ils été suivis d’effets ? À l’inverse, le caractère sui generis de l’intégration européenne, de même que la relative autonomie des centres et périphéries de cet espace politico-institutionnel nécessitent-ils des formes d’inventivité méthodologique ? En somme, on cherchera ici à comprendre comment se construisent puis sont investis les terrains d’enquête en lien, plus ou moins direct, avec l’intégration européenne. Les communications pourront aborder aussi bien les méthodes mobilisées dans la délimitation de son terrain d’enquête, les stratégies pour l’investir ou encore les résistances rencontrées. Elles devront se concentrer particulièrement sur les enjeux méthodologiques auxquels le/la chercheur.e est confronté tout au long de son travail. Qu’ils soient confronté·e·s à l’hétérogénéité des catégorisations des statistiques nationales, à l’articulation d’une pluralité de systèmes politiques, à des réseaux professionnels éclatés ou encore à des « élites » avares de leur temps et de leur parole les enquêteurs·trices doivent faire preuve d’ingéniosité. On cherchera ici à interroger les astuces, les bricolages, les inventions, les contournements imaginés pour construire un protocole d’enquête. De plus, il s’agit aussi d’interroger les enjeux méthodologiques qu’implique le glissement à l’œuvre depuis plusieurs années du microcosme bruxellois (Laurens, Marchan, Van Criekingen, 2012) vers de nouveaux objets situés « à contrepoint » (Weisbein, 2008). Comment ces objets sont-ils abordés sur le plan méthodologique et que permet de mettre en évidence l’articulation de ces deux dimensions ? Ce déplacement de la focale est-il un produit ou le vecteur de cette normalisation méthodologique des études européennes ? Enfin quelles incidences ce renouvellement des objets (et des méthodes ?) entraîne-t-il sur la compréhension plus générale de l’intégration européenne et de ses ramifications jusqu’à des espaces parfois très éloignés de la partie la plus centrale du champ du pouvoir communautaire ? En interrogeant les pratiques d’enquête mobilisées pour saisir son fonctionnement, elles cherchent à mieux saisir les évolutions récentes et à venir des travaux consacrés à l’UE. Précédent Which Brexit effect on Franco-British defence co-operation?